Newfoloder.exe virus creates the bulk folders in the sub directories of every folder and make the system very slow.It mostly infects by usb devices. 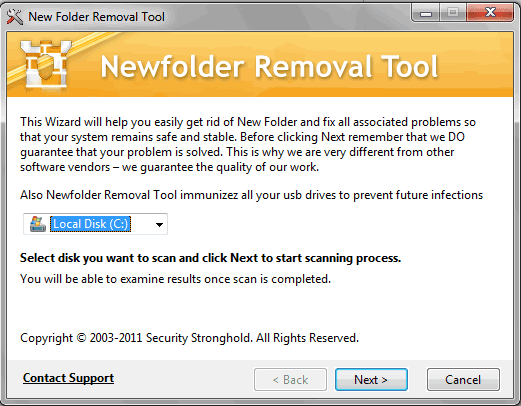 Download this New Folder Removal Tool and scan your all the drives in your computer. It completely removes the virus form the computer. Everyone loves what you guys are usually up too. This kind of clever work and coverage! Keep up the awesome works guys I’ve incorporated you guys to blogroll.